It was a small study in men who were obese and already insulin resistant. It compared 3 diets - high in either saturated fat (SFA), monounsaturated fat (MUFA), or polyunsaturated fat (PUFA). Blood glucose and insulin were significantly higher after the saturated fat meal than the PUFA meal. Interesting that the PUFA meal led to higher circulating fatty acids. Resistant starch does this too, except by a different mechanism - colonic bacteria eat undigested (resistant) starch, producing fatty acids that we absorb. These fatty acids are linked to improvement in sensitivity to insulin. The KANWU study found that insulin resistance worsened on a high saturated fat diet (but improved on a MUFA diet). And I summarized 3 large epidemiological studies that implicated saturated fat in the development of diabetes. 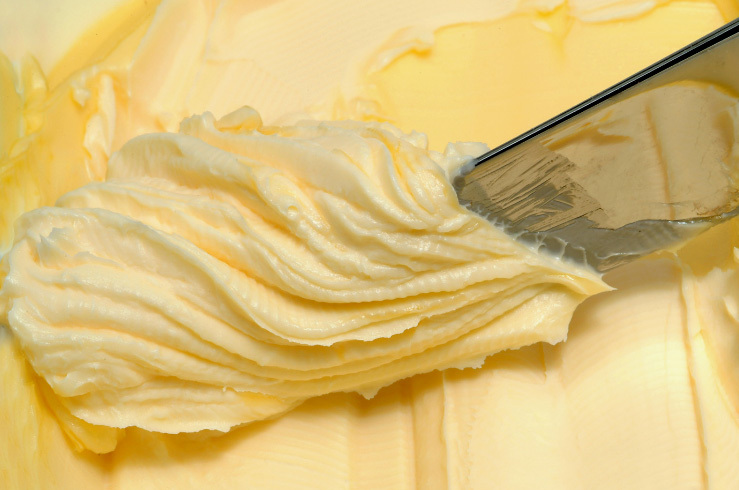 The best sources of saturated fat in our diets are dairy products (cheese, butter, cream and the like) and animal foods. The fat in plants tends to be more unsaturated, PUFA and MUFA. I think the presence of highly refined, high-glycemic index carbohydrates makes this association worse. Just my 2 cents. It's why diets that reduce all carbs could mask the effect the fat is having intramuscularly. You need to show this to all the people who are saying saturated fat is good for you. There is more fresh evidence in AJCN online. Sunflower oil outperformed butter in head to head trial in terms of liver fat, inflammation (!) and cholesterol. Bjerme et al. 2012. "Compared with SFA [saturated fat] intake, n−6 PUFAs [omega-6 polyunsaturated fat] reduce liver fat and modestly improve metabolic status, without weight loss. A high n−6 PUFA intake does not cause any signs of inflammation or oxidative stress."